Taylored Life: Off to the Races! It's been a busy month since the start of school. 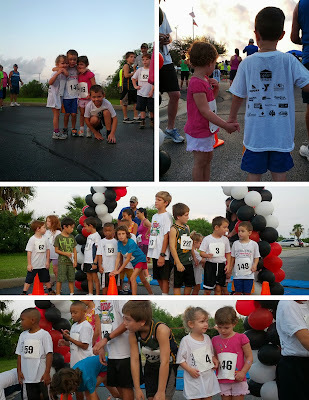 A few weeks ago Jackson and Audrey ran their first race, which was the Galveston Daily News Kids 1K. We got them up early and headed to Galveston where we met up with their friends, Buzz and Elke. They picked up their packets, participated in the warm up, sang the Star Spangled Banner, and then lined up for their race. Ross ran with Jackson, and I ran with Audrey. They both took off when the race started. Jackson and Ross quickly got ahead, but Audrey ran strong. I looked over at some point, and Audrey's cheeks were bright red. She looked concerned. She didn't seem to know she could walk if needed. I told her it was ok, so she quickly slowed to a walk. 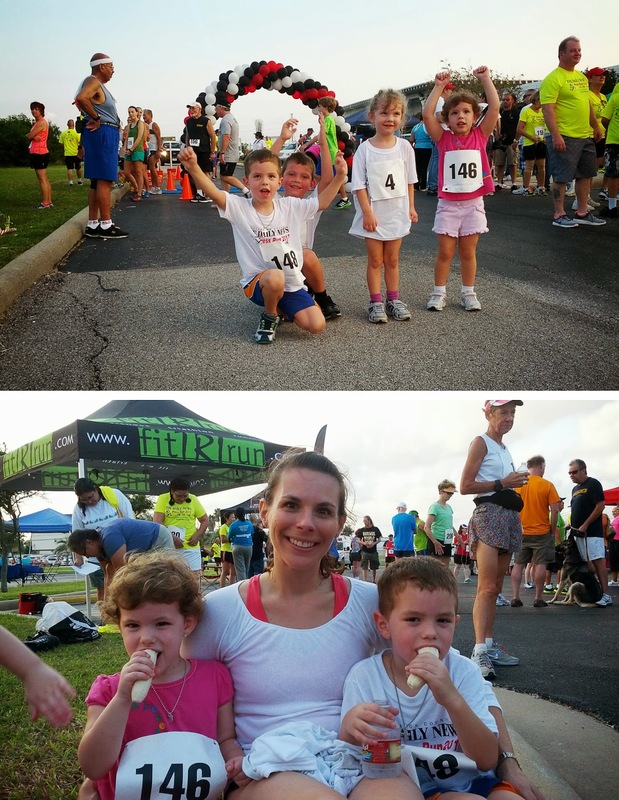 I thought for sure that meant we'd walk the rest of the race, but within a few seconds, she was running again! She did this a few more times, but she was determined to run as much as possible. When we neared the finish line and everyone was cheering, Audrey got serious and ran hard across the finish line. It was adorable! Ross said Jackson did great. He ran the entire way! Although, he was less excited about the attention at the finish line.